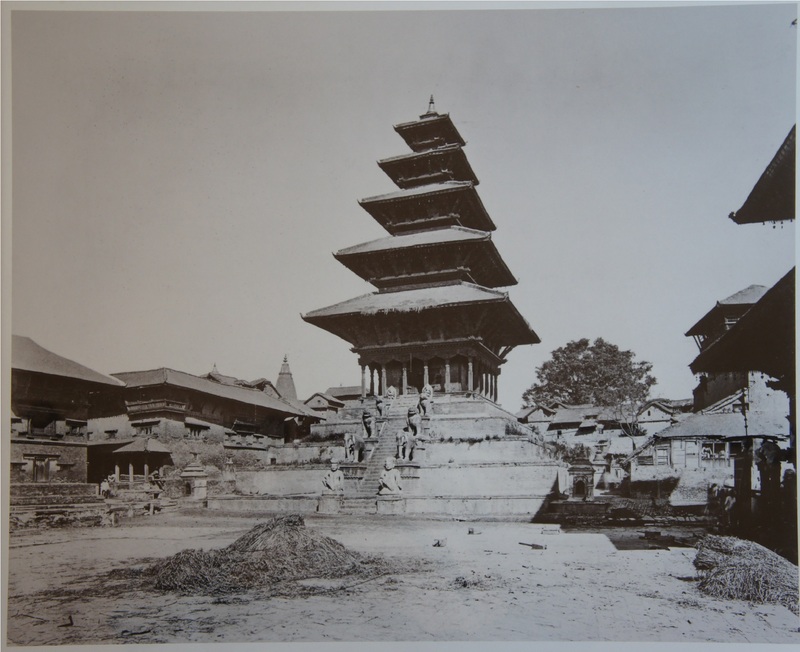 The first photographs were taken in Nepal by Clarence Comyn Taylor (1830- 1879), a soldier of the East India Company, who turned to Political Service and arrived in Kathmandu in 1863 as Assistant Resident for a period of two years. 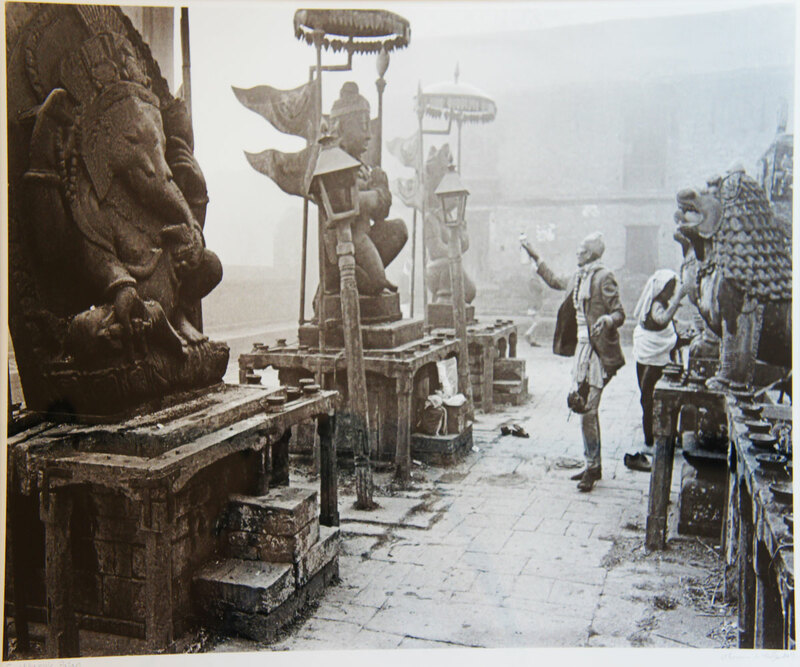 He learned photography in Agra and had been photographing the temples of Udaipur prior to his sojourn in Nepal. His photographs – kept by the British Library and the Royal Geographical Society – are among the most powerful images of urban sites of the Valley to date. A decade later, Colin Murray took photos for the Calcutta-based firm Bourne & Shepherd, which could be ordered from catalogues worldwide. His photograph of Boudhanath is another powerful image that embodies the memory of the Valley before its rapid urbanization. In spring 1883, John Claude White joined the British Residency as an engineer, but also worked as a photographer, selling his glass plates to renowned firms such as Johnston & Hoffmann in Calcutta and Herzog & Higgins in Mhow, who marketed prints worldwide. Thirty-two of his photographs were published in 1920 by the National Geographic Magazine. Sanskrit scholar Cecil Bendall came to the Valley on August 9, 1884 for a period of three weeks in search of inscriptions and manuscripts. He was the first visitor who arrived with the declared intention of undertaking “architectural studies,” but these were “almost entirely precluded by want of time.” His photographs contribute a great deal to the reconstruction of the details of a cultural landscape that he simply called “charmingly picturesque” – that typical orientalist’s gaze that, until very recently, characterized the perception of western visitors. But the greatest impact on the creation of a “timeless” image of the Valley’s historic centres was created by the wood engravings published in 1886 by the French sociologist, philosopher and traveler Gustave Le Bon. He spent only a few days in the Valley in January 1885 and took a number of photographs, of which 28 were published in the context of his book, ‘Les Monuments de l’Inde,’ in 1893. Le Bon’s views of the three Durbar Squares in the form of wood engravings, first published 1886 in ‘Le Tour du Monde’ and a few months later in the German equivalent, the fortnightly magazine Globus, have been repeatedly included in books on Nepal until today. 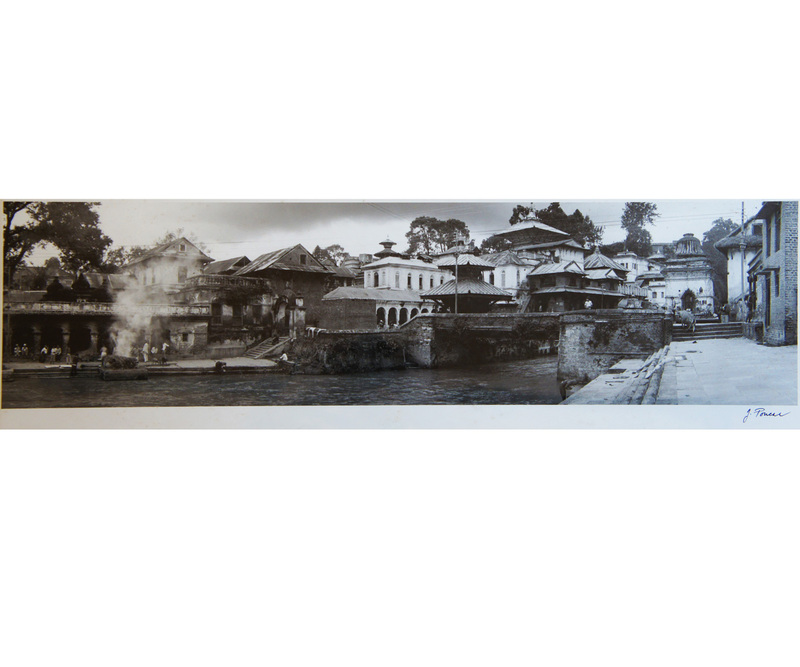 Moreover, some engravings, such as those of the principal entrances to Sundarichowk and Mulchowk of the palace in Patan, the Golden Gate of the palace in Bhaktapur and a single pillar from a house in Patan, mark a transition from merely picturesque views to the documentation of architectural details. The following two decades saw a number of professional photographers capturing the townscape of the urban centres. In 1894 a photographer from the firm Johnston & Hoffmann came, and in December 1898 Kurt Boeck (1855-1931) from Germany, and SulvainLévi from Parisa few months earlier. Thirty photographs taken in 1901 by a photographer from the firm of Herzog & Higgins are still featured in the Curzon Collection of the British Library and add considerably to the documentation of the urban landscape. 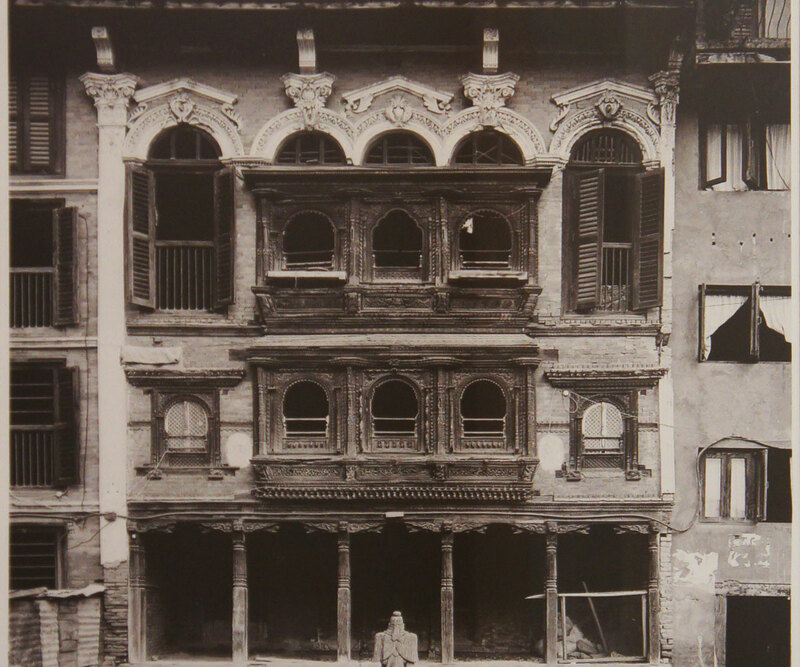 Boeck donated a full set of prints of his photographs to Emperor Franz Joseph in Vienna in 1900, of which a few replicas have been on display at the Patan Museum since 2001. Of his many photographs, 22 views of architectural ensembles are highly informative. They were first published in 1903 and reappeared in a number of reprints. In autumn 1910, Percy Brown (1872-1955), the first professional with an artistic background, came to Nepal. Brown published 32 photographs in 1912, and 30 years later incorporated a few of these into a comprehensive overview of Indian Architecture (1942), which has been kept available through reprints. More comprehensive was the work of journalist-traveller and war correspondent Perceval Landon (1868-1927), who had first been to Nepal in 1908. 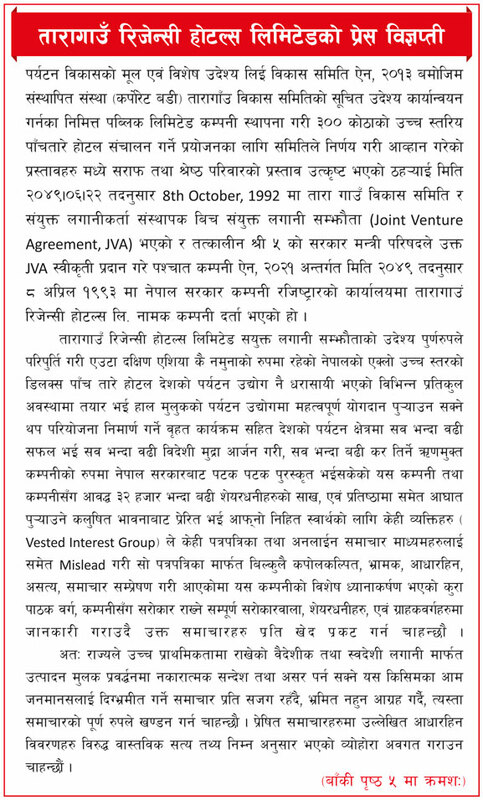 He was commissioned by Chandra Shumsher Rana to publish a representative account of Nepal, published posthumously in 1928, in an attempt to usher the country into the international arena. The two-volume publication includes 96 photographs of buildings, architectural details and villages. The appendix even includes “Notes on the Architecture of Nepal.” In April 1927, the Swiss photographer Martin Hürlimann visited Chandra Shumsher and published a couple of photographs in May 1931 in the German monthly magazine, Magazine Atlantis. On 27th January 1934, 12 days after the devastating earthquake, the Illustrated London News published eight photographs documenting undamaged temples and street scenes. On 14th April 1934, nine photographs documented the disaster. The first colour photographs, taken in 1948 by the German American photographer VolkmarWentzel (1915-2006), companion to Dillon Ripley, an associate curator at the Peabody Museum of Natural History at Yale University, were published in National Geographic Magazine in January 1950. In the field of photography, the well-known predilection for the picturesque prevailed. Returning mountaineers published photographs of their exploits, industrialist Alfred Krupp von Bohlen and Halbach published a coffee table book in 1963 with pictures he had taken in 1962 in Nepal. Heinrich Seemann, first secretary of the German Embassyin 1970, published 86 photographs in 1973 with the first maps of the three cities of the Kathmandu Valley prepared by Wolfgang Korn. Likewise, the 506 photographs taken by the American architect Fran P. Hosken (1920-2006) in 1970 and 1971 were published in 1974 with nondescript captions. Probably not by accident, two prominent photographers of a new generation came to Nepal as Peace Corps volunteers: Kevin Bubriski (from Vermont) in 1975 and Thomas L. Kelly (from Santa Fe) in 1978. Bubriski’s Portraits of Nepal, photographs taken in 1984 to 1986, marked a decisive turn away from the touristic gaze, backed by years of experience and an outspoken interest, interwoven with a genuine love for the country. Niels Gutschow started his photographic documentation in September 1970, and since 1992 his work has been supplemented by Stanislaw Klimek (from Wroclaw). 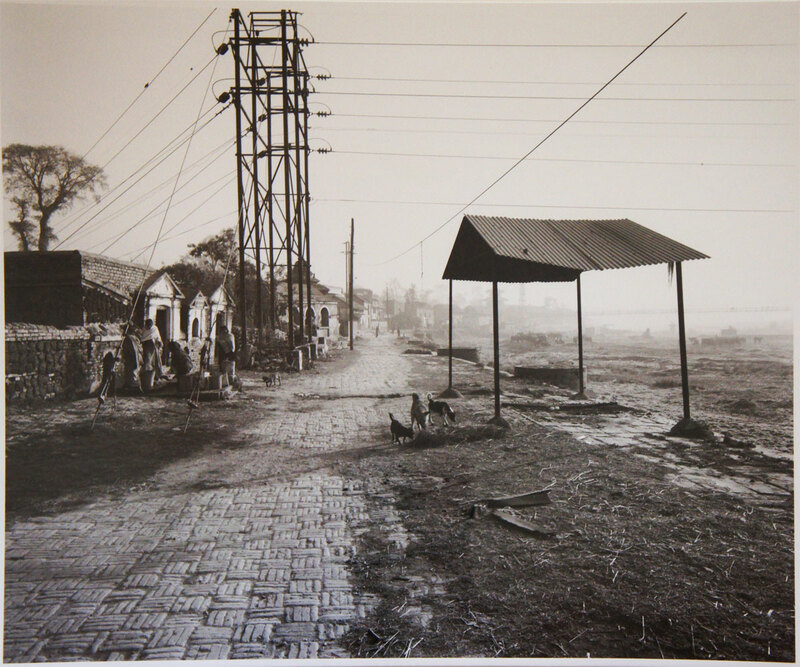 Jaroslav Poncar (from Cologne) made his debut with panoramic photographs in 1980, while Ursula Schulz-Dornburg (from Düsseldorf), whose work is found in major collections all over the world, introduced to Nepal a new perspective for the art of photography in 1993.